In last week’s #PioneersByNature blog post I reviewed 5 iconic Kiehl’s skincare products, I like to refer to them as pioneering products. Since opening its doors in 1851, Kiehl’s has pioneered numerous important moments throughout its 164 year old history. They were among the first beauty companies to list ingredients on its product labels, they created one of the 1st stabilised 10.5% Vitamin C serums, and they were the pioneers of the facial oil trend by creating their bestselling Midnight Recovery Concentrate. In honor of this amazing legacy, Kiehl’s presents their latest programme called: Pioneers by Nature. Honoring game changers and trendsetters who are pioneering new ways of viewing and experiencing the world today, Kiehl’s teamed up with local and international pioneers to bring their pioneering stories to life. In today’s blog post I’ll be sharing the stories of two influencers who embody a pioneering spirit in both the fashion and beauty industry. 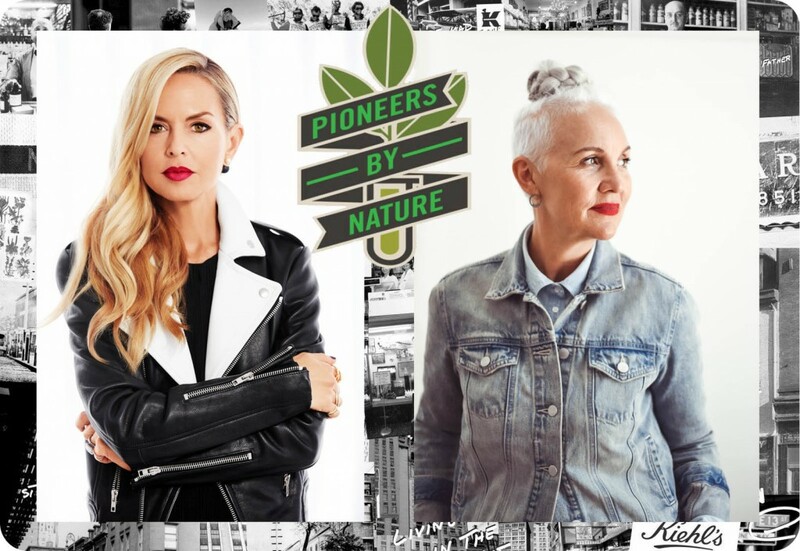 Kiehl’s joined forces with Jackie Burger and Rachel Zoe to showcase what it means to be a Pioneer by Nature. South African style icon and trendsetter, Jackie Burger, has been involved in the fashion industry for 25 years. Jackie recently concluded her 7-year tenure as editor of ELLE South Africa during which time she pioneered some of the most noteworthy projects for the publication, including the annual ELLE Talent Search campaigns which seek to create avenues of entry into the SA fashion industry for our youth. She also introduced South Africa to the ELLE Female Factor Forum, a groundbreaking initiative, which encouraged national dialogue for women and by women. Q: Why did you choose to partner with Kiehl’s? A: I have a deep appreciation for brands that actively engage in the community they trade in as well as initiating platforms of awareness to improve social structures or circumstances. 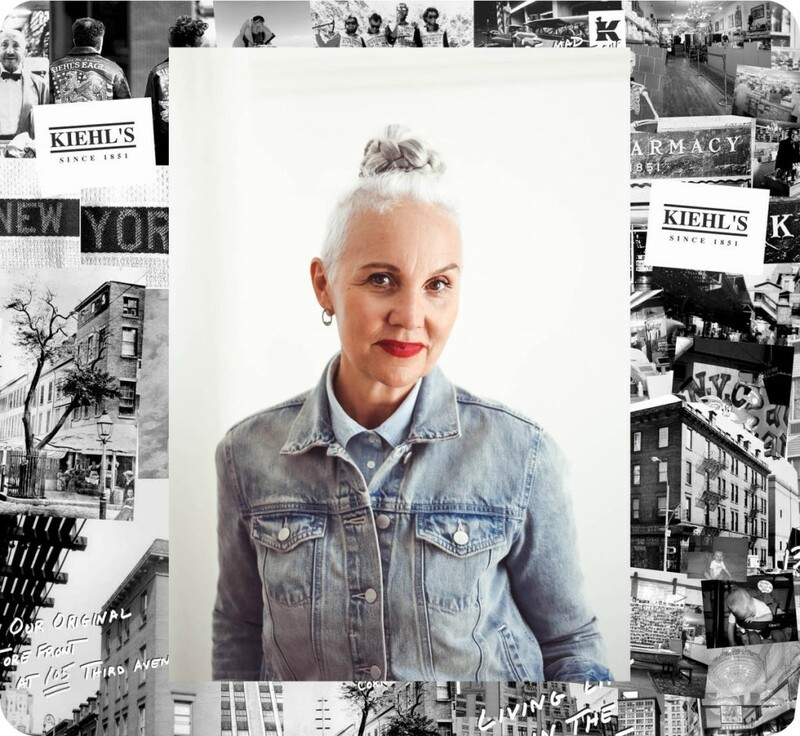 Q: Kiehl’s is celebrating you as a pioneer in the Lifestyle industry. Tell us about your story as an Editor-at-Large and why you started Salon 58. A: Salon 58 is the culmination of my dreams, ambitions and years of experience and skills honed in the fashion retail and publishing industries. It was an idea that came to fruition recently after spending time with a business coach to articulate possibilities aligned to my vision and abilities. The concept of Salon 58 celebrates many values that I endorse, such as providing a platform for showcasing local talent and design that goes beyond fashion. It encourages the true art of conversation – exchanging ideas and knowledge and embraces the principle of collaboration – an innovative sharing economy based on a value exchange of skills, creativity and partnerships. A: Life and conscious living inspires me. If we really take time and pay attention to special moments, we are so much richer in spirit for doing so. Q: Who do you identify as pioneers in your own life? A: I am inspired by women who challenged the status quo and paved the way for change and empowerment – from Coco Chanel who liberated the way women dress to Simone de Beauviour’s take on feminism to Iris Apfel for proving that style and age are timeless and all about attitude! Q: What advice could you pass on to anyone else starting off on their own pioneering journey (not just in the lifestyle industry)? A: Know your strengths and weaknesses and surround yourself with people you can truly trust. Work hard and smart. Always remember your dream. Q: This campaign is in support of Stop Hunger Now in South Africa. Tell us why this is a cause close to your heart. A: Good nutrition cultivates a general sense of wellness that creates a healthy mind, body and soul – a basic and fundamental sustainability of society at large. There is an enormous sense of care and giving in the sharing of food. No one should go hungry when there is the abundance available to us to share with others. Kiehl’s aims to donate 15,000 meals to ‘Stop Hunger Now Southern Africa’, a non-profit organisation that focuses on the nutritional needs of children in early childhood development phase (below the age of 5) in disadvantaged areas. On the 12th of November, which is also World Kiehl’s Day, Kiehl’s South Africa will host a meal packing event in Sandton to pack these nutritional meals for Stop Hunger Now. Los Angeles-based distinguished designer, stylist and editor, Rachel Zoe, has been involved in the fashion industry for nearly two decades. An unparalleled fixture in the fashion world, she is renowned for her effortless take on glamour. Her illustrious career has flourished as she has continually proven herself to be an integral part in shaping fashion and the images of Hollywood celebrities. As well as a style expert and authority in the realms of fashion, beauty and lifestyle, Rachel is respected for her comprehensive knowledge of vintage, haute couture and contemporary design. Rachel has built a vast and loyal audience of fans and followers with her infectious enthusiasm for fashion, aspirational style, expertise and approachable personality. She founded a free daily online newsletter called “The Zoe Report” in August 2009 featuring her latest obsessions in the worlds of fashion, beauty and lifestyle. The newsletter garnered popularity quickly, and reaches over 1,8 million people to date. While many view her as an inspirational figure, she remains accessible to her most loyal fans and 11 million social media followers through multiple channels. Q: What was your first experience with Kiehl’s? A: My first experience with Kiehl’s was when I fell in love with their Crème de Corps. Then came the Silk Groom for my hair, and there was no replacing that ever – in fact my husband and I still use it. It all happened a long, long, long time ago when I lived in New York City. I just discovered Kiehl’s and then there was no stopping me. I started out with one product, then two, then five and it’s just been an obsession ever since. Q: Kiehl’s is celebrating you as a pioneer in style -tell us about your story? What inspired you to become a stylist? A: My career sort of happened ironically because I thought that I was going to be a psychiatrist and that’s what I studied in school. I knew that I always loved fashion and I always loved making people over – making people feel beautiful, building confidence in women. And that was always how I lived my life and what I did with my friends or anyone else I came in contact with. They would say – do my hair or do my makeup I don’t feel so pretty today and that was really, really interesting to me. When I graduated college I got a job as a fashion assistant at a teen magazine called YM. I worked my way up there and left as senior fashion editor. I then went freelance when I was 25 years old. I didn’t have my first job yet and didn’t know what I was going to do, but I just held my breath and jumped. I’ve basically worked every day of my life since then for a good 16 years, until I had my first son. There were also a lot of things I said I would never do that ended up happening – like a television show, a book, even being a clothing designer – but pretty much everything I said I would never do, I’ve done. So now I’ve made a decision to never say never – to keep every door open and always be really excited and welcoming about any opportunity at all. What I’ve realized is I love my job so much that it really drives me and I want to do more. I want to go in a million different directions and have my hands in a ton of different things. I’ve always wanted to be an editor of a magazine, so becoming the editor-in-chief of the Zoe Report has been my favorite new part of my journey and my career and I couldn’t be more proud of it. It’s really a way for me to have constant interaction with so many people every single day. My company at this point is so synergistic between being a designer, a stylist, and an editor- it’s allowing me to live my dream every single day. A: I get inspired by so many things. In my subconscious mind there are always icons of sixties and seventies glamorous women – like Bianca Jagger, Jane Birkin, Françoise Hardy, Brigitte Bardot, and Diane von Furstenberg. These women inspire me on a daily basis as a designer and a stylist. But simple things inspire me too like my travels, people that I see all the time when I’m in Paris or Italy or New York or LA. I just get really, really excited about what’s around me. Q: What does the word ‘pioneer’ mean to you? And what makes someone a pioneer? A: The word pioneer to me is funny because it sounds like something from a history class, but at the same time it’s such a profound word and title for someone. It’s very powerful because it really means a leader or someone who started something. And to me, it’s one of the hugest honors in the world to have the word pioneer next to my name – even to be considered or thought of in that way is a huge honor for me and something that makes me incredibly proud. I’ll be back with my final Kiehl’s #PioneersByNature blog post next week. Start thinking about who you would nominate as a pioneer in your life, as there will be a giveaway included. I love introducing my readers to Kiehl’s products, and Kiehl’s has always been very generous with supplying hampers for giveaways here on Pink Peonies blog. I will also be sharing my own thoughts on inspirational people in my life, so make sure you pop by the blog next week Monday. Next Post Beauty Snoop #5 – L.A. Girl, Maybelline, Freeman, Real Techniques & More! This is a great programme, I like the idea of Stop Hunger Now and packing of meals for children. Go, Kiehl’s!!!! Jackie is so inspirational, I’ve loved her style and elegance since her early ELLE days. Big ups to Kiehls for donating meals to Stop Hunger Now, makes me love the brand even more. Looking forward to that giveaway next week, I really want to try Kiehls. I love these two fashionista’s. They are both so unique in their styles. I can’t wait for your next post! THANK YOU so much for this Q&A post. I look up to Jackie and Rachel and always learn from their interviews. You have just made my day Luzanne.